“Okay, go!” I said to Super Tall Guy as we backed out of the driveway of the townhouse. “3 minutes, 21 seconds and 59 milliseconds,” he said as we pulled into the driveway of my sister’s new house. One weekend. Two moves. Two sets of movers. Countless loads of boxes via the minivans. Strong cousin. Saintly mother. Spackling father. Lamps. TV. Shoes. Books. Headache. Couches. Beds. Clothes. Numerous trips to Target. But no toothbrushes. No toothpaste. No toiletries. None. The boys rejoiced! It’s been twelve years in an old Victorian house with stained glass windows, built-in wooden bookcases, three floors, and a hidden back staircase. It’s been the only home the boys have known. It’s been the place everyone called “home” until we moved for school and the extended family split up a bit to diminish the chaos and to stretch out a little. I meant to get all sentimental about leaving “home” – but the stress of a quick move left the heart door closed. In fact 36 hours after dropping the last box packed for “moving day” onto the townhome floor, I actually texted my mom to say I like the space better than I thought I would. It’s small, clean and manageable (or it will be once all the boxes are emptied and flattened or donated to the lady next door who remarked she was moving soon too). Somehow the boys seem to have forgotten to be sentimental too. They seem to be enamored by the chance to ride bikes and scooters up and down the street, bumping over the speed bump. They seem to appreciate the new neighbors — a 12-year-old and 7-year-old boy who pop out of their house the moment my car engine stops with a soccer ball in hand and eager faces! They seem to be enthralled by the closeness to “Auntie,” or maybe it’s the community pool that’s two houses away from Auntie’s house and has diving board! Maybe they are managing this chaos better than I. See this – it’s a sink. Take your plate to the kitchen, rinse it in the sink, and….put it in the dishwasher! These clothes? They’re yours. Sort them into three piles and each of you take them upstairs. And those things are called drawers – that’s where the clothes go! Not the floor! 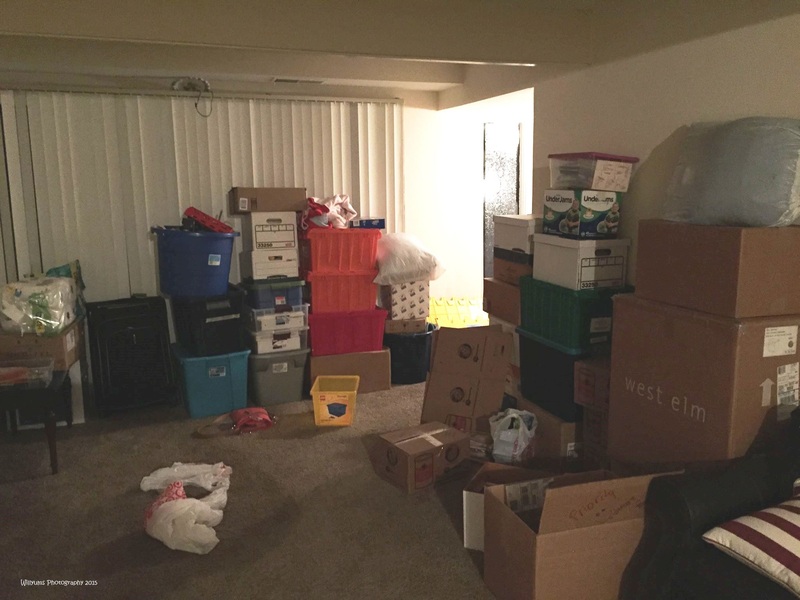 This entry was posted in House, Parenting, Stress and tagged moving, townhome, unpacking by middleofthemadness. Bookmark the permalink.